Last week was officially the 2nd annual #GivingTuesday, a movement to create a national day of giving following Thanksgiving, Black Friday, and Cyber Monday. The past two years I've used this day to donate a little online to two of my favorite charities, and one commenter's preferred charity, because every little bit helps! But, you know what? Every day should be giving day. A couple of weeks ago I was driving home in the pouring rain and my car started beeping to let me know that my tire pressure was extremely low. So I pulled off at the nearest gas station to add some air. Super fun in the pouring rain! Well, a teenager got out of his car and volunteered to do it for me. 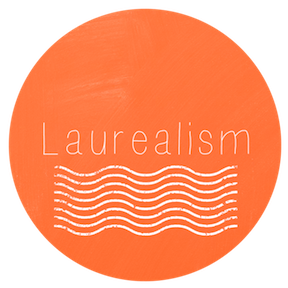 Seriously, so nice. I thanked him profusely, and he insisted it was no problem at all. But I was so grateful that he helped out. Well, I happened to be dying of thirst and right next door was a Wendy's. I pulled through the drive-thru, and decided to pay it forward. Or rather, backward in this case because I told the cashier I wanted to pay for the stranger in the car behind me. And you know what? It made my day. I left there smiling. And I'm hoping I made that stranger's day as well. 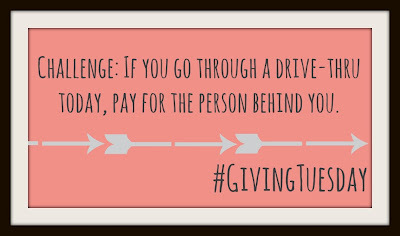 So here's your challenge-- if you head through a drive-thru today, offer to pay for the person behind you. Its an easy way to brighten someone's day. Let's start a movement! 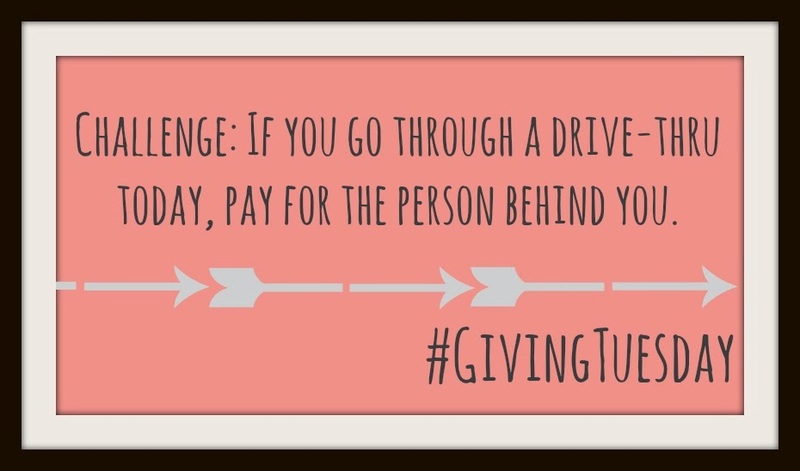 **Have an idea for a future #GivingTuesday? Let me know about it!